Get noticed, build your brand & drive sales with a low cost that scales with your business. We have focused our service to help you stand out the crowd, Unique options for adding Emoji's for impact, consistent greeting and signatures for brand consistency and affordable & impactful brochure picture texts. We understand business goes up and down, so we offer Pay As You Go Pricing. 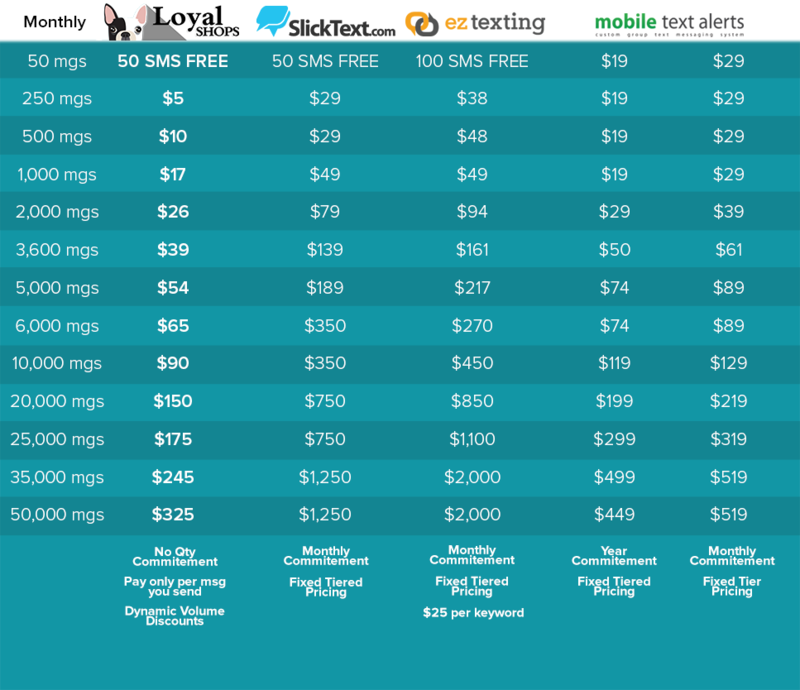 Only pay for what you use, but as you scale your texting business during the month, get dynamic price breaks on your whole months per messaging texting costs. 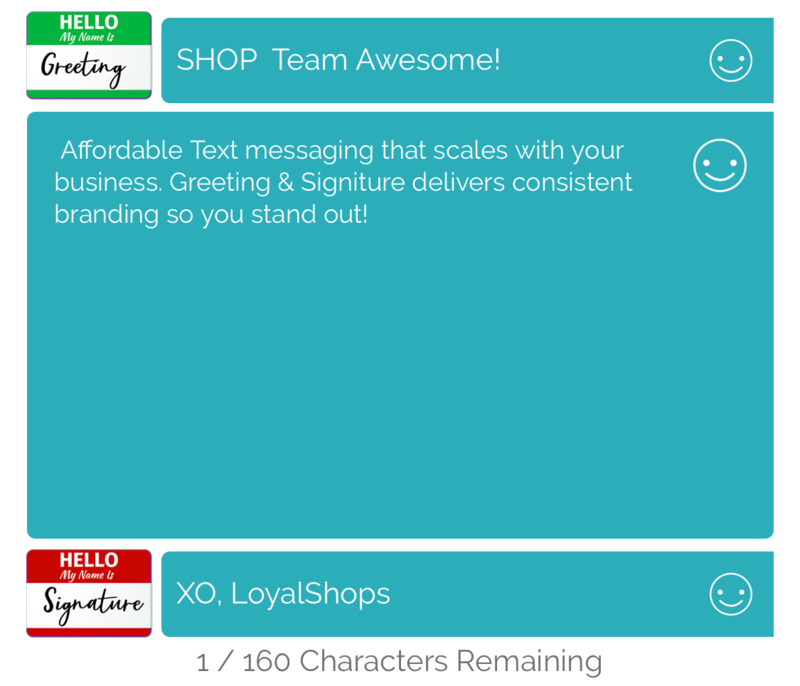 Build your brand with consistent affordable SMS text messaging! The workhorse of text communications, the SMS message up to 160 characters gets the message out at a very affordable price. With our pay as you go payment model, you can text moderately and only pay for exactly what you send without being gouged with a large startup bill or flat high charges. We even offer you 50 free messages every month with no commitement. 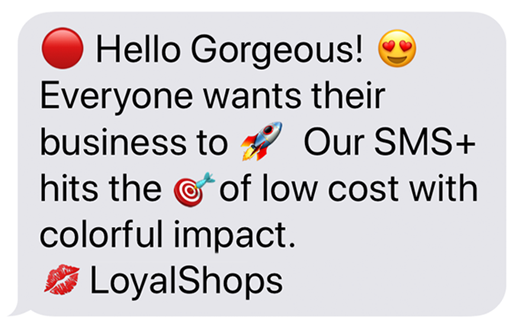 So LoyalShops is a very affordable solution to learn how best to grow your business with SMS Marketing then ramp as your comfortable. Our unique Greeting & Signature inputs allow you to create a consistent opening and / or closing to your texts. Once you set them, they will stick until you choose to change them. This way, you can just enter the key message you need to convey, saving you time while knowing your message will be recognized by customers due to its consistent look. Colorful & compelling messages that stand out from the crowd! When a 160 standard black and white character SMS just isn’t impactful enough, we have our SMS+ option. With SMS+ you have two creative options. The first is to cost-effectively drop in colorful impact into your text messaging with emoji’s to make your messages stand out. SMS+ with Emoji’s, you have 134 characters for your message. Note that Emoji’s count as two characters. If you have a longer story to tell with your message, SMS+ can help as well. SMS+ allows up to 306 characters for your message with standard text. You can choose standard SMS, SMS+ or MMS messages at any time. All messages count equally towards reaching the next volume tier. So, send these Picture and Text messages often if you can or use them more sparingly for the real impact. But regardless, as you send more each month, your SMS SMS+ & MMS messages become more affordable. MMS Picture Messages give you amazing freedom to tell your story with Pictures, Emoji’s and 10X long text lengths. With our unique MMS Wizard, create compelling content in seconds from your phone that catches your customer’s eyes with colorful pictures, emojis, clickable links to shop or directions to your store! Add Headlines, Your Name, Pictures & nearly 1600 text characters including shortened deep link and emoji’s. Perhaps it’s a new launch, an open house or a particular special, we give you the tools to get noticed and get them shopping! You can choose standard SMS, SMS+, and MMS messages at any time. All messages count equally towards reaching the next volume tier. So, send these Picture and Text messages often as you can or use them more sparingly for a large impact. 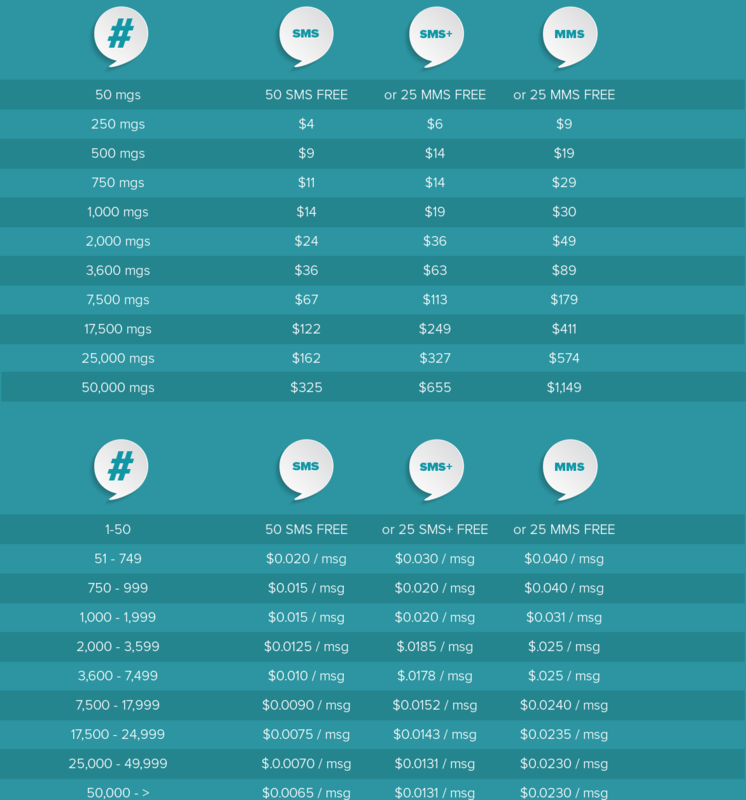 Either way, send more each month and all your messages cost less. 15 Customer Lists supported including 4 Smart Lists with our service. They are Specials, Shop Albums, Shop Live and Open House. Both you and your customers can turn these list on or off. 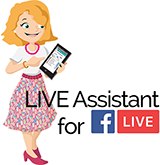 This allows your customers to tailor the type of notifications they wish to receive and you can target a specific group for higher interest and lower cost, including local customers for an open house. 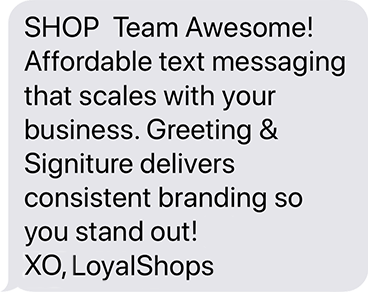 LoyalShops Texting Services are designed for you business! Running a successful business is not an easy task. There is so much to learn and so many places to lose money by not being optimized. We’ve designed LoyalShops Texting for your business. With our Pay As You Go Pricing you only pay for what you use with 50 FREE messages every month as a thank you for trusting us to help you! Besides, we offer a low price per message regardless of volume pricepoint with no gotchas for missing the sweet spot in the model. No one has time to figure out how best to change your subscription every month to avoid paying too much. With LoyalShops, you don’t have to. Even if you take a month off, you won’t pay anything for your Texting with us. So, as your business starts out, you get FREE messages, then a meager per message cost so you can scale your business communications a tremendous amount. As your business grows, you can send more texts to make it grow more. As you grow your business and texting needs, we dynamically give you price breaks each month, without contractual obligation. Finally, we offer three tiers of messaging (SMS.SMS+ and MMS) instead of the standard 2. 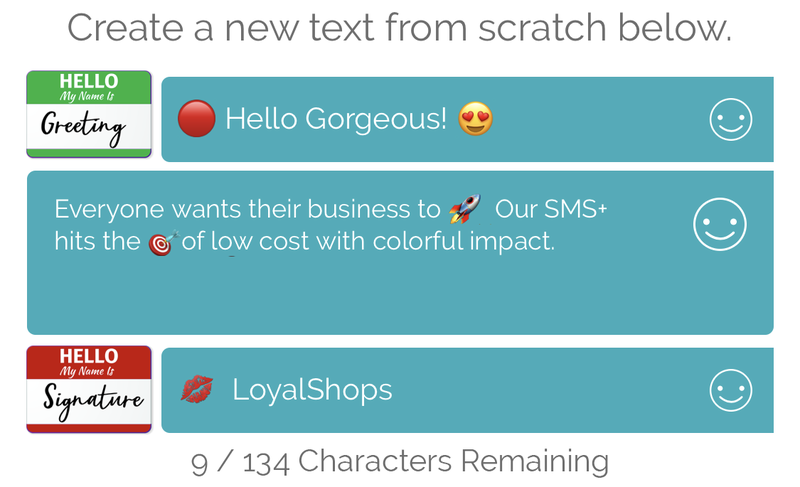 We did this so at any time you can choose the right message type (simple cost effective, Emoji’s with color impact or a more extended message to a long message with a picture and emoji’s) to deliver the messages you need for the least amount of cost.